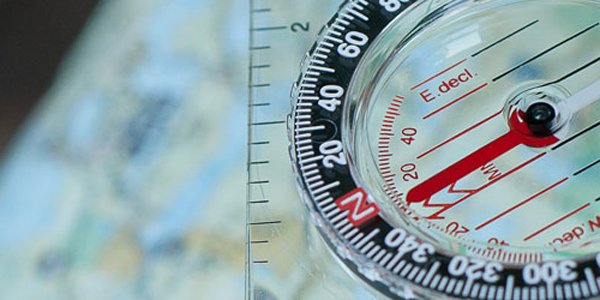 Having a map and compass constitutes one the “Ten Essentials” as recommended by numerous recognized outdoors organizations. As such, if you play in the wild, you may indeed carry these tools. But do you know how to use them? There is so much more to be gained than just finding your cardinal points. Learn how to plot a course and confidently follow it. Be a master of the wilderness by knowing where you are and where you’re going. After all, if you know these two things, you’re not lost! Having a map and compass constitutes one the “Ten Essentials” as recommended by numerous recognized outdoors organizations. As such, if you play in the wild, you may indeed carry these tools. But do you know how to use them? One day one, become a master of the wilderness by knowing where you are and where you’re going. 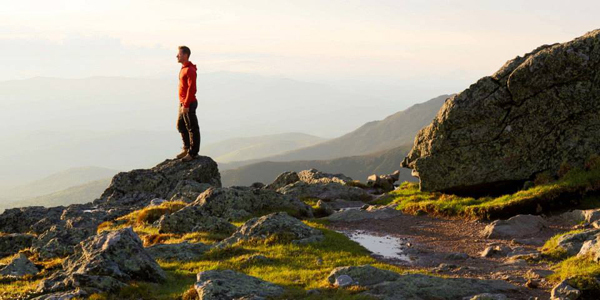 On day two, utilize the navigation skills that you learned on day one to bushwhack to the summit of a TBD mountain in the White Mountain National Forest on day two. Here..Our goal is to make your mountain adventure as memorable and comfortable as possible. To do this, you must be properly prepared. We provide all of the technical gear that you will need for an awesome adventure. However, we ask that you please bring your own clothing - including but not limited to: a base layer for top and bottom, climbing or snow pants, some insulating layers and jackets, socks and warm gloves or mittens. When selecting clothing for your adventure, choose synthetic materials, wool, or fleece as cotton will absorb sweat and freeze - increasing the chances of hypothermia. In the MORNING you will want to have a pencil with eraser, calculator or solid math skills, and a notebook if you want to take notes (recommended). You may also bring a proper hiking/orienteering *compass, a clear plastic ruler, and a proper White Mountains *map… if you posses these items. At LUNCH, you will have an opportunity to re-visit your vehicle for exchanging gear and such. In the AFTERNOON dress in weather- and hiking-appropriate attire, but as a minimum you will likely want a long sleeve shirt, long pants, hiking boots (sharp branches and ankle hazards exist in the woods we will be walking in), safety *glasses (goggles not recommended due to fogging potential), bug spray, water (1 qt. min), a small backpack to put it all in. If you’re taking our two-day course, please refer to our AFTERNOON gear information, then add a lunch, water (another qt. at least), sunscreen, sunglasses, an extra layer of warm clothing, and some form of rain protection. (The mountains sometimes make their own weather, and it’s almost always colder, windier, and rainier. Be prepared.) If doing a trail hike, you may want also to bring trekking *poles, and if it’s really nice and warm, you will probably be able to get away with short sleeve shirt, maybe shorts, and perhaps trail runners instead of boots. *We can supply these items for the length of the course. We have a full fleet of rental gear. If you need any of the required items just let us know!